GARDEN CITY, NY (April 4, 2018) – Breslin Realty is proud to announce the signing of a long term lease with the Automobile Club of America (AAA) at 2411 Hempstead Turnpike, East Meadow, NY. AAA will be occupying 2,200 square feet in the Clearmeadow Plaza shopping center. The space was formerly occupied by GameStop. AAA is a non-profit member service organization that provides automobile services to its members, including roadside assistance, driving schools, loans & banking, and more. 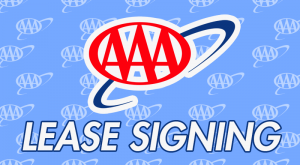 There are over 5.6 million AAA members throughout the United States & Canada.